No. 56, Jalan Segambut Pusat, 51200 Segambut, Kuala Lumpur, Malaysia. 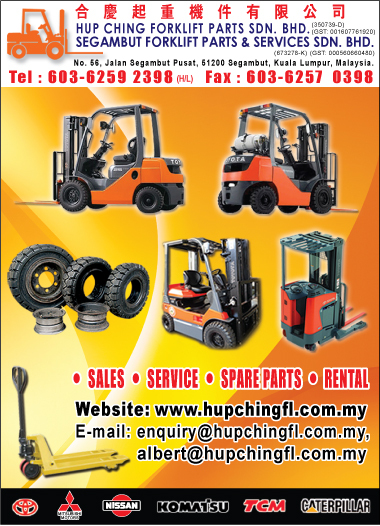 Hup Ching Forklift Parts Sdn. Bhd. is specialist in Material handling equipments and Forklift Parts & Services in Malaysia, We are selling Used Forklift, Reconditioned Forklift, Refurbished Forklift and Forklift Rental services. We are also supplier of electric powered forklift parts for Toyota forklift, Mitsubishi forklift, Nissan, Komatsu forklift, TCM, forklift engine parts & Etc. 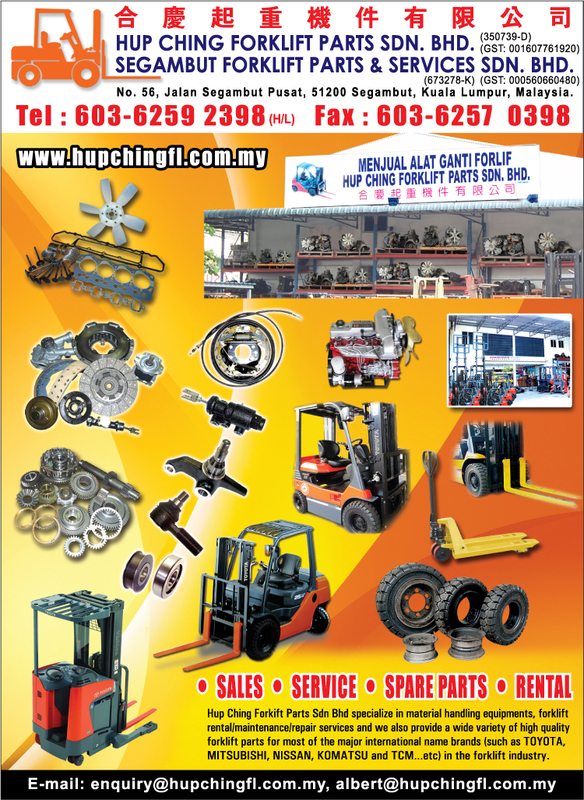 Hup Ching Forklift Parts Sdn. Bhd supply high quality forklift parts and forklift rental services, experienced in reconditioning (refurbishing/used) forklift, all parts including forklift engine parts, transmission, drive axie, mast & chain roller, forklift cooling system parts, streering parts, tyres & rims, starters, alternators, hydraulic parts, forklift brake, LPG parts and Ignition & carburation. The smart way to do business and get the job done on time with minimum fuss and the right equipment.